We require that all campers wear a Camp Gan Israel T-shirt on each trip day. T-shirts are included in the camp necessity package. Since all camp staff and campers wear camp shirts, we are instantly recognizable to each other. While on field trips camp shirts distinguish our campers and staff from other visitors. While at camp, it allows our staff to recognize any visiting children, parents, etc. Camp shirts, backpacks, and caps will be available for purchase before the start of camp. Camp Gan Israel uses a modern fleet of buses from a local bus company. Campers must remain seated at all times. 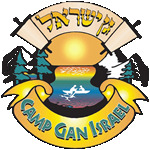 Camp Gan Israel is open for parental visits every camp day. We suggest that you schedule your visit carefully as your camper may be involved in a field trip or other off-campus activity. All visitors will be directed to the camp office for visitor registration and assistance. We invite all parents to join us Friday mornings for our show day or any other special day. Campers only need a bathing suit and towel each day, regardless of the weather. We supply all sports and safety equipment such as tennis racquets, baseball mitts, riding helmets, etc. Please apply sunscreen at home and send labeled sunscreen to camp so that our staff can assist them with reapplying. Every camper will be provided with a water bottle. They will be instructed to drink every hour. Bottles will be refilled as needed throughout the day. The directors are available to answer your questions and discuss your concerns, during the day at the Camp Office and most evenings from 8:00 p.m. to 10:00 p.m. on her cell. Please feel free to call during these times or leave a message at the camp office during the camp day. We have many programs for campers' families throughout the summer. Please join us!